47097 VALNETSP3544.jpg 500X638\VALNETSP3544.jpg 47098 VALNETSP3544_1.jpg 500X638\VALNETSP3544_1.jpg Send A Hint! 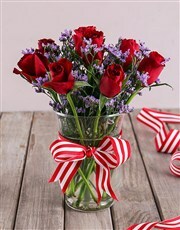 Make her heart sing with this beautiful arrangement of 10 red roses and Latifolia in a clear hurricane vase. It will look great in any setting! 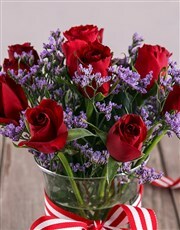 Get this Hurricane Rose Arrangement delivered with NetFlorist. 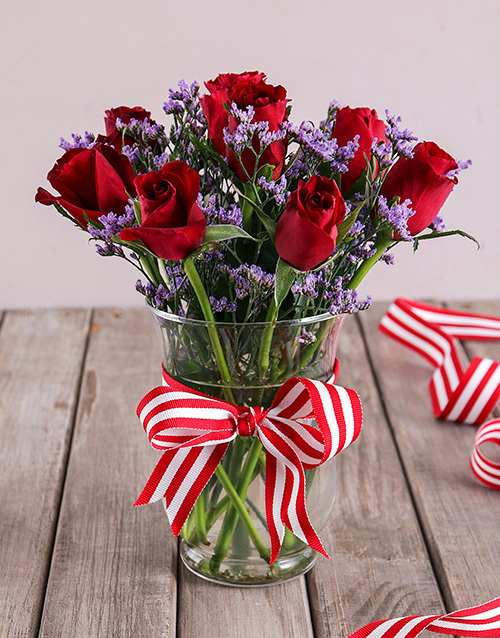 Get this Hurricane Rose Arrangement delivered with NetFlorist.